"Time cannot wither nor custom stale its infinite monotony." "Although this is a dreadful novel, it has to be said that the earnestness with which Rice continues to toil at her brand of pop sorcery has an odd, retro sort of charm, an aura redolent of the desperate, decadent silliness of the disco era. 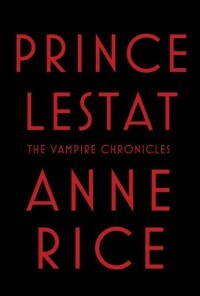 “Prince Lestat” has nothing to do with horror and even less to do with the Romantic literature Rice tries to evoke, but she and her hero are possessed of a certain louche conviction — a sense that although their time is passing, they will grit their pointy teeth and boogie on."